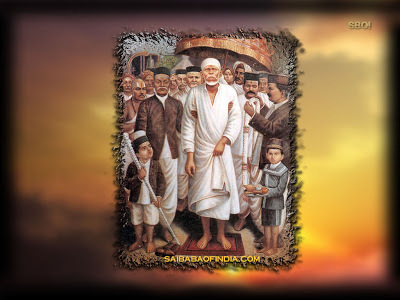 In the previous post, I had shared Leela of Shirdi Sai Baba and hindi lyrics of Kashta Nivaaran Mantra. I have been receiving requests to upload english lyrics of the mantra too. So in this post I have noted down the Hindi lyrics in English fonts for the ease of non-hindi devotees. That was the most beautiful verse on Sai that I have read. Can you please upload Sai Kashta Nivaaran Mantra in Telugu? thankyou so much for your blessings..
Baba pls unko dheek. Kar do. hamesha apni kripa ham par banaye rakhna. Baba hamesha ki Tarah sahi rasta dikhane Ke liye thank you so much. Baba pls be with us as always and help us in overcoming all our obastacle with faith and patience. Thank you so much for your blessingsand for the blessings which are on our way. Baba thank you so much for your blessings. apni kripa sab par banaye rakhna. Thank you baba for helping me. I will read 51 times kastnivaran mantra. Please BABA Bless her.